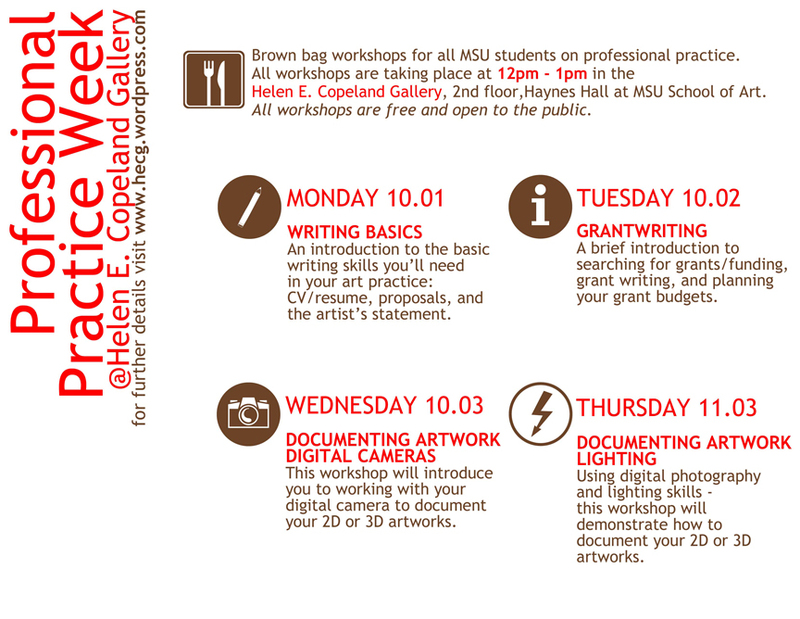 Professional Practice Week is a series of brown bag workshops for all MSU students on professional practice. 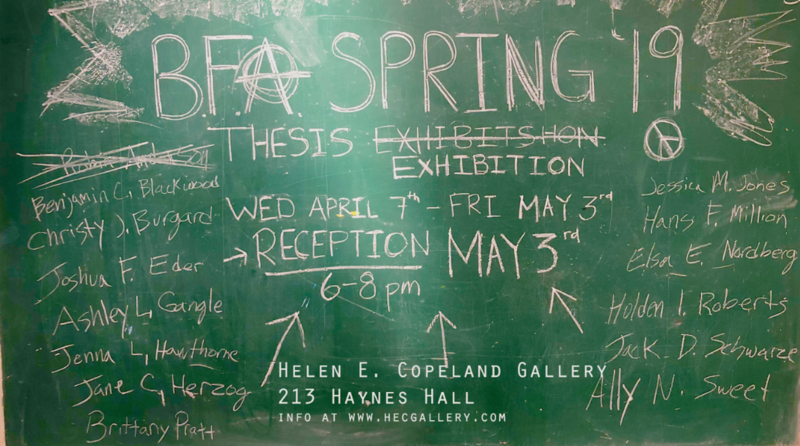 All workshops are taking place at 12pm – 1pm in the Helen E. Copeland Gallery 2nd floor, Haynes Hall at MSU School of Art. All workshops are free and open to the public. An introduction to the basic writing skills you’ll need in your art practice: CV/resume, proposals, and the artist’s statement. A brief introduction to searching for grants/funding, grant writing, and planning your grant budgets. This workshop will introduce you to working with your digital camera to document your 2D or 3D artworks. Using digital photography and lighting skills – this workshop will demonstrate how to document your 2D or 3D artworks.